Okay, we know it’s not a fish, but we couldn’t resist the play on words considering this is a Bajan blog and all that. Click on the photo and you’ll be taken to the Daily Telegraph to see the large photo and read how Matt Deans took this one in a million shot. Spark of the Day! is our occasional reminder of how beautiful this little planet really is – and should be. Whew! What a great day at the Graeme Hall Nature Sanctuary. Lots of folks, lots of kids and lots of fun. The place was beautiful and you could tell the staff worked hard to get it into shape for the day. I hope this means that something is happening to re-open the sanctuary on a permanent basis for ordinary folks and also because our tourism product desperately needs this attraction on the south coast. On Saturday, January 29, 2011, all exhibits and interpretive walkways through the mangroves and upland areas at Graeme Hall Nature Sanctuary will be open to the public. Author and avid Barbados Free Press reader Matt Rigney has a new book coming. 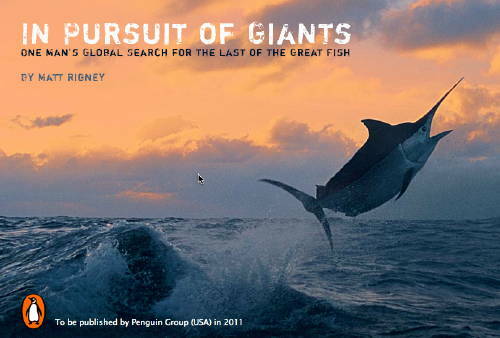 In Pursuit of Giants is the story of one man’s global trek to learn the fate of the ocean’s great fish—marlin, swordfish, and tuna. It is a journey into the history of big game sportfishing and a voyage of discovery to the few remaining locations in the world where these animals still exist in numbers and sizes that hint at their former abundance. It is also an investigation into the failure of fisheries management and an exploration into what must be done to save the world’s fisheries. The last we heard Matt’s book was ahead of schedule and might even be out in time for the 2010 Christmas buying season. The BFP gang eagerly awaits our first read of In Pursuit of Giants. Eight thousand people showed up on the previous Free Day at the Graeme Hall Nature Sanctuary. Yup… eight thousand folks who value the natural heritage of our country and want to preserve it for our children’s future took a walk on November 9th to see the mangroves, birds and wildlife that don’t exist in such a natural state anywhere else on Barbados. 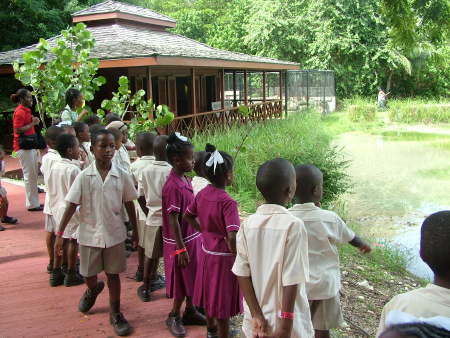 Over the years thousands upon thousands of Bajans and tourists alike enjoyed the peace and learning experience of the last remaining mangrove wetlands on the island. Thousands of school children on learning tours encountered Graeme Hall in a way that their parents never could in the days when they were in school. A generation ago, the last mangrove wetland at Graeme Hall was an abandoned, difficult-to-access, polluted garbage strewn mess. One man decided to rescue this precious piece of natural heritage for Bajans, Barbados and the world. One man and he wasn’t even a Barbadian!